Nordic Leadership - Is It So Special? 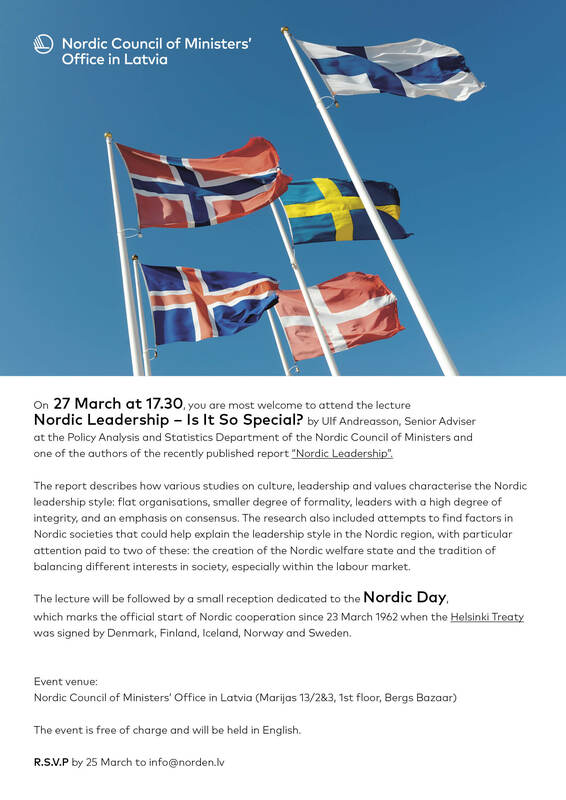 On 27 March at 17.30, you are most welcome to attend the lecture Nordic Leadership – Is It So Special? by Ulf Andreasson, Senior Adviser at the Policy Analysis and Statistics Department of the Nordic Council of Ministers and one of the authors of the recently published report “Nordic Leadership”. The report describes how various studies on culture, leadership and values characterize the Nordic leadership style: flat organisations, smaller degree of formality, leaders with a high degree of integrity, and an emphasis on consensus. The research also included attempts to find factors in Nordic societies that could help explain the leadership style in the Nordic region, with particular attention paid to two of these: the creation of the Nordic welfare state and the tradition of balancing different interests in society, especially within the labor market. 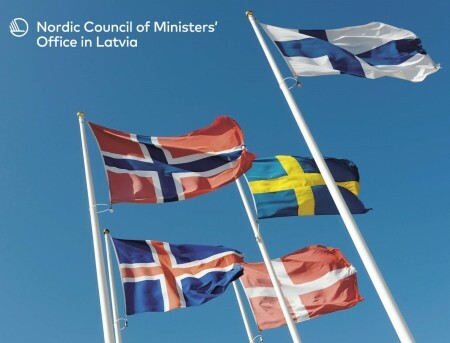 The lecture will be followed by a small reception dedicated to the Nordic Day, which marks the official start of Nordic cooperation since 23 March 1962 when the Helsinki Treaty was signed by Denmark, Finland, Iceland, Norway and Sweden. The event is free of charge and will be held in English. You are welcome to sign up no later than March 25! Report "Nordic Leadership" can be read here.